Irvin “Carrot” Jarrett - D. 7-31-2018 - 69 - member of the Jamaican reggae fusion band Third World - percussionist, singer, drummer, dancer, performer, concert producer, inventor, songwriter, painter and teacher. Rex Mansfield - D. 8-26-2018 - 83 - was in the Army with Elvis Presley (1958-60). Co-author of “Sergeant Presley” and “Living the Moments - My Journey with Elvis, Elisabeth, and Jesus”. Conway Savage - D. 9-2-2018 - 58 - brain tumor - Melbourne, Australia - pianist, organist, and backing vocalist for Nick Cave and the Bad Seeds - was a member for nearly 30 years. Max Bennett - 9-14-2018 - American jazz bassist and session musician - member of Tom Scott’s L.A. Express - played bass guitar on Frank Zappa`s legendary “Hot Rats” album. Cecil “Big Jay” McNeely - D. 9-16-2018 - 91 - tenor sax player who had many hits starting in 1949. He also inspired Little Richard with his flamboyancy. Martin Allcock - D. 9-16-2018 - 61 - English multi-instrumentalist musician and record producer - played with Fairport Convention, Swarb’s Lazarus, and Jethro Tull. Al Matthews - D. 9-22-2018 - 75 - Al had a hit in the UK with Fool in 1975 - also an actor appearing in Aliens, Omen 3 and Superman 3 - decorated US Marine. Hardy Fox - D. 9-22-2018 - 73 - co-founder and composer for avantegarde group The Residents. Chas Hodges - D. 9-22-2018 - English musician and singer who was the lead vocalist of the musical duo Chas & Dave and member of Heads, hands and Feet, Cliff Bennett and the Rebel Rousers. Marty Balin - D. 9-27-2018 - 76 - American singer, songwriter, and musician best known as the founder and one of the lead singers and songwriters of Jefferson Airplane and Jefferson Starship - member of Rock n Roll Hall of Fame. 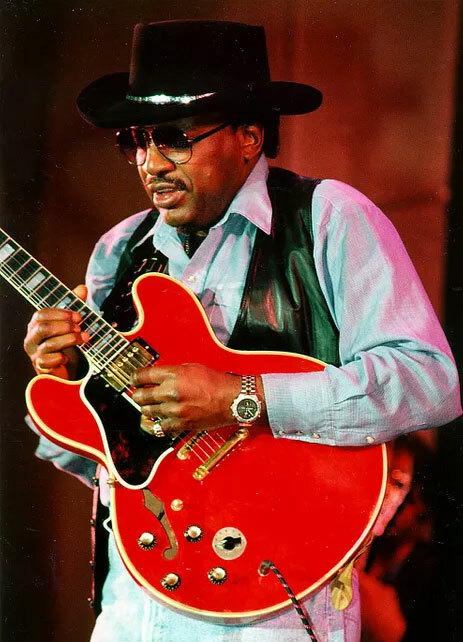 Otis Rush - D. 9-29-2018 - 84 - American blues guitarist and singer-songwriter. His distinctive guitar style featured a slow-burning sound and long bent notes - his sound became known as West Side Chicago blues. Rush was left-handed and strummed with his left hand while fretting with his right. However, his guitars were strung with the low E string at the bottom, in reverse or upside-down to typical guitarists. He often played with the little finger of his pick hand curled under the low E for positioning. It is widely believed that this contributed to his distinctive sound. He had a wide-ranging, powerful tenor voice. Peggy Sue Gerron - D. 10-1-2018 - 78 - inspiration for Buddy Holly’s hit song “Peggy Sue” - Gerron went to Lubbock High where she met and dated Jerry “J.I” Allison, who along with Holly was a founding member of the Crickets - also the first licensed woman plumber in California and a HAM radio operator. Jerry González - D. 10-1-2018 - 69 - cardiac arrest caused by smoke inhalation from a fire at his home - Madrid, Spain - American bandleader, trumpeter and percussionist of Puerto Rican descent. Together with his brother, bassist Andy González, he played an important role in the development of Latin jazz during the late 20th century - leader for Fort Apache Band.